Most people associate weddings with the summer, due to the better weather. However the winter months are a great time to get married. There is something romantic and cosy about a winter wedding and there are many possibilities for wedding dresses, as well as designer mother of the bride dresses, flowers and venues. Choosing a winter month in which to get married can also work out cheaper, which is equally important for some people. Weddings are expensive and according to the Daily Telegraph can cost more than £18,000. 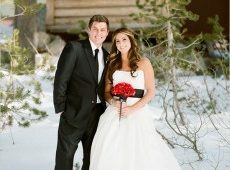 However if you are on a budget then getting married during the winter months is a great option. The cost of hiring a wedding venue, either for the ceremony itself or for the reception, is cheaper in the winter as fewer people generally want to get married then. 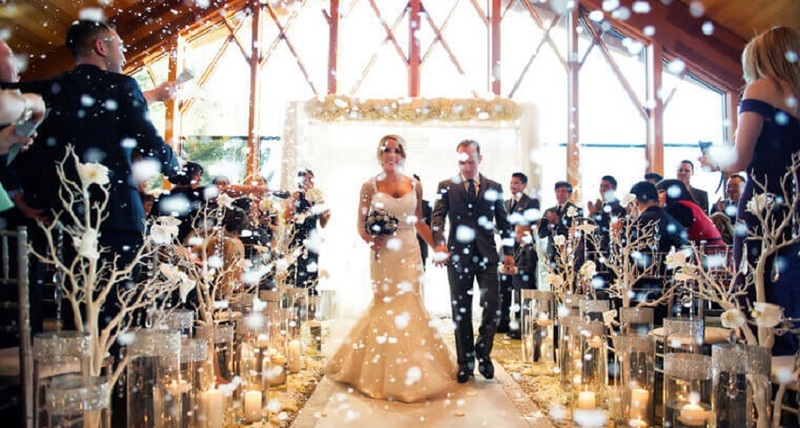 Depending when you decide to get married, one of the most obvious themes for a winter wedding is of course Christmas. The communal areas of wedding venues will generally be already decorated ready for Christmas which you will benefit from. You could choose a red, green and gold colour scheme and incorporate seasonal flowers and foliage such as holly and mistletoe into your table decorations and room decor. According to online you have many choices in terms of how much to spend on your wedding dress, and during the winter you may find more flexibility in terms of cost, as well as the style and look. In theory you could still choose the same sort of dress you would wear if you got married in the summer, but will need to bear in mind that you will probably need some sort of stole, bolero or cover up to stay warm. You will have to think about bridesmaids’ dresses and your mother may want to look at celebrity mother of the bride dresses to get some ideas. There is no reason why guests at a winter wedding should have to look anything other than chic and stylish. So if you are planning a wedding then don’t disregard the winter months as you can have the most beautiful occasion, and after all it is the person you are marrying that matters, not when you tie the knot.